Two of the main functions of a roof are drainage and insulation. For this, the roof needs proper attention. Regular maintenance is mandatory if the roof is to continue insulating the home while providing a way to drain water from the rain and other sources. Without the roof, the home would be unbearable and uncomfortable to live in. Roof insulates the inhabitants against noise produced by birds, cars, and people on the outside. It protects you against the ever-changing weather too. Otherwise, the hot sun rays, cold snow, and freezing rainwater would fill your home. 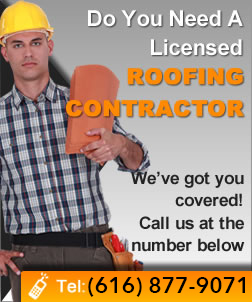 Proper roofing installation is of paramount importance. 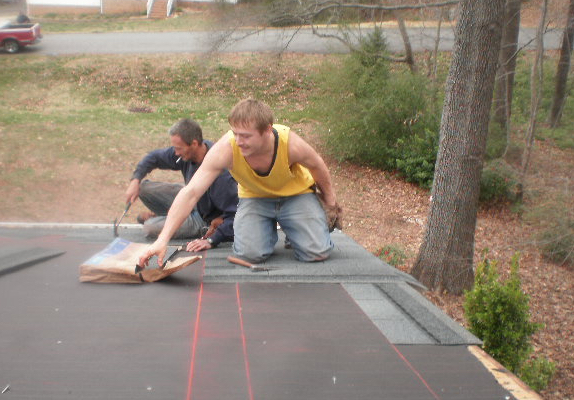 Proper installation ensures the roof remains in place and serves its purpose well. Improper installation presents the possibility of the roof collapsing, which would then present a different set of problems and expenses. Improper installation opens the roof up to the risk of leaks, which would be dangerous for the structural stability and integrity of the building. The good news is that all these problems and possibilities can be avoided with the proper roofing installation and regular maintenance. Proper installation ensures the roof continues draining all the snow and water. It drains water and the melting snow through the gutters into the ground below. This happens so that the home’s ventilation does not suffer. If the roof and gutters are not installed or maintained properly, water would seep into the walls of your building. The water seeping into the walls would make the property ugly and unattractive. An ugly building would have a difficult time attracting new tenants, buyers or investors. Finding and using the right roofing materials is a must. Focus on buying and using materials that not only last long, but also give the building adequate protection against natural disasters. Avoid materials that are too heavy, thus applying too much unnecessary pressure on the framing. Look for materials that compliment and add to the aesthetic appeal of your building. While at it, focus on the roofing materials that adhere to the standards and codes set by the local authority charged with monitoring building constructions, installations, maintenance and remodeling. Proper installation is not something worth taking lightly. Install roof deck protection properly and professionally. Do the same with leak barriers and shingles. The flashing too has to be installed properly. Otherwise, the home would soon be unfit for habitation and human use. The home with improperly installed roofs and poor, irregular or unprofessional maintenance will soon lose its market value. To avoid these problems, your focus should be on hiring an experienced and professional roofing contractor for all installation and maintenance jobs. Therefore, do not take installation or maintenance lightly. Remember, you and your family would have a difficult time living in the house that has no roof. Improper installation sets your family on the way towards a time when the roof will be heavily damaged and in a poor state. It takes you more money and time to fix problems created by improper installation and poor maintenance. With a bit of planning and some financial investment, coupled with choosing a good contractor, you will never have to worry about these problems.